Currently laid out with three bedrooms, with an impressive master bedroom suite, this spectacular opportunity lends itself to a buyer with vision looking for a long term family home, as Spring Vale is one of few houses in Clive Road not extended to its maximum potential. 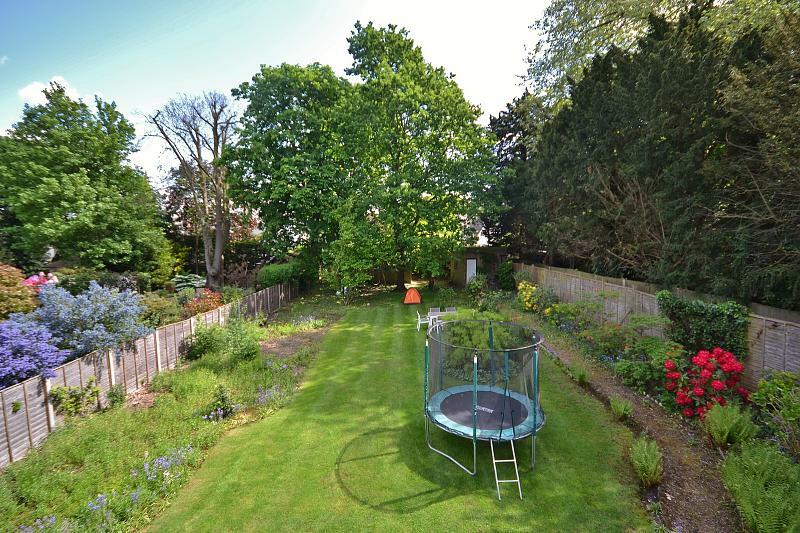 Set in a deep plot there is plenty of scope for further enlargement. 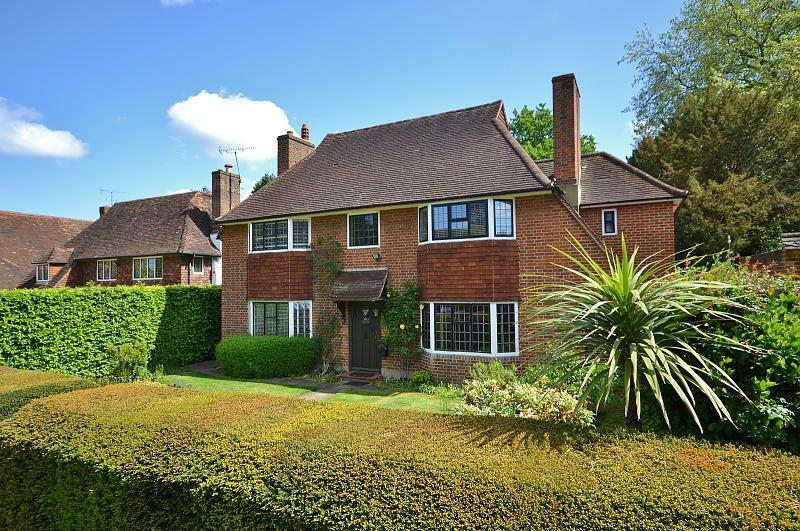 Our clients have obtained a very exciting planning permission which can be seen with Elmbridge Council quoting 2017/2786 or discussed with Curchods Estate agents of Esher. Approached by a pretty front garden you enter the house into a large hallway, with original floorboards, which gives you access to the entire ground floor. To your right you find a good sized dining room with a continuation of the floorboards, pretty bay window and impressive open fireplace. 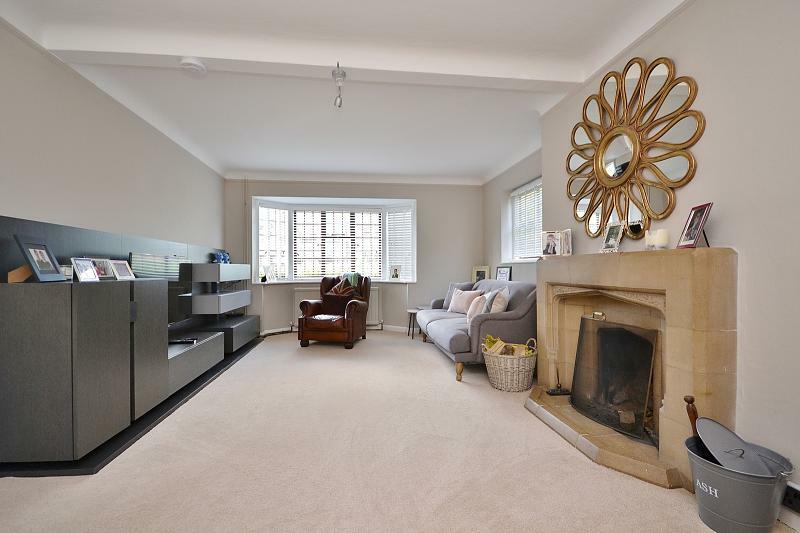 On the other side of the ground floor the dual aspect sitting room takes up the full depth of the property with a bay window to the front and French doors giving you access to the rear garden at the back. With the large fireplace and French doors this is a room perfect for both the winter and summer months and is flooded with light throughout the day. 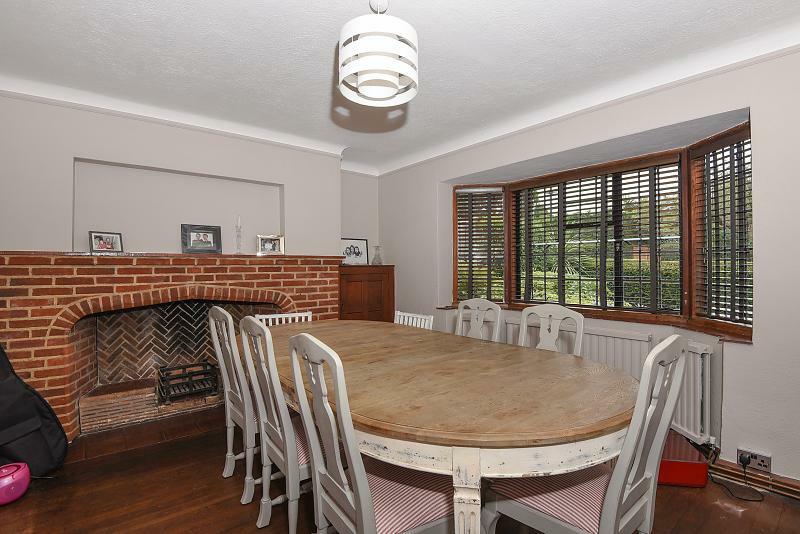 The rest of the rear of the house is taken up by the wide and well appointed German kitchen, with a side extension providing a lovely breakfast area which leads through to a large store and utility room. Back to the hallway you find the downstairs cloakroom with a WC and hand basin, opposite which is the staircase leading you to the first floor. On the first floor you have a large landing where you access the master bedroom suite, benefiting from a bay window, fitted cupboards within the bedroom and an impressive dressing room overlooking the garden where you gain access to the en suite shower room, with his and hers sinks, shower cubicle, WC and towel rail. The three piece family bathroom is also accessed from the hallway, comprising a bath with overhead shower, hand basin, WC and towel rail and serves the second and third bedrooms. 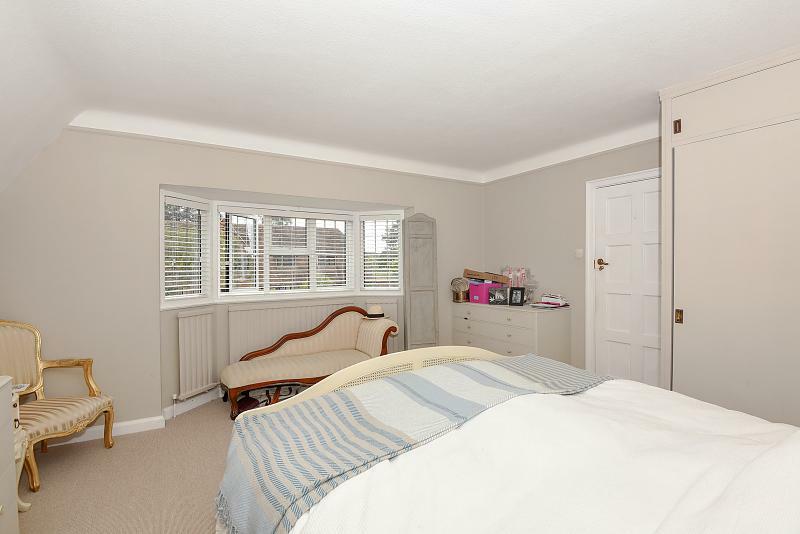 Bedroom 2 is a large double bedroom with a bay window and fitted cupboards and the bedroom 3 is a good size overlooking the mature and pretty rear garden.